I was absolutely thrilled when my short story “Out of Office” was selected to feature in “The Word for Freedom“, an anthology published by Retreat West Books to celebrate 100 years of women’s suffrage. The book is raising money for the charity Hestia so it’s all for a very good cause. The anthology is on sale here, but if you fancy a preview of my story, then you can watch it on YouTube. It’s narrated by yours truly, and it was put together by the clever folk at Retreat West. The Bradford Literature Festival started in 2014, and in just a few years it has grown into a huge annual celebration of all things reading and writing, with over 50,000 people attending this year’s Festival. With events covering everything from comedy to crime, Manga to mythology, there is genuinely something to suit everyone. If you’ve not visited, what are you waiting for?! Events take place in venues throughout the city, and you only have to be in Bradford for 30 seconds to realise how much support there is for the Festival. There were banners everywhere, people wandering around with books in their hands, and a pop up book shop right in the heart of Bradford City Park was doing a roaring trade. I have to admit I was rather nervous about appearing at my first literature festival. I’ve been to plenty as an audience member, but it’s rather different being up there on the stage! Fortunately my nerves disappeared when I met my fellow authors and our wonderful event chair Jodie Matthews. After all, what could be better than talking about romance and writing with other enthusiasts! The event took the form of a panel discussion, with lots of input from the audience as well. We talked about our writing influences, what makes a good hero (there was definitely some swooning over Jane Austen’s Captain Wentworth) and how we set about writing a book. The Magic of Romance panel from left to right: Jodie Matthews, Milly Johnson, Sonya Lalli, me! It was really interesting to hear from my fellow panellists and to compare our different approaches to our work. It definitely made me think in a more analytical way about the genre as we discussed what factors make romance magic for us. We also laughed over how being a writer can sometimes make you seem rather crazy, for example when a character you’ve created does something completely unexpected and takes you by surprise! The hour just flew by and I thoroughly enjoyed every second. And the icing on the cake was to see my books for sale alongside Milly Johnson’s and doing a book-signing at the end of the event. Thank you so much to the Bradford Literature Festival for inviting me along. The Romantic Novelists’ Association Summer Party….well, as it had ‘summer’ in the title, it was of course raining! As I splashed my way from Covent Garden to the party venue at the Royal Overseas League, I was extremely glad that I’d been organised enough to bring a pair of emergency shoes for the party. It was my first time at the RNA Summer Party, and it was all the more special as I was attending as a finalist for the Joan Hessayon Award. The Joan Hessayon Award is a prize for authors whose books have gone through the Romantic Novelists’ Association New Writers’ Scheme. It is awarded in memory of the late Joan Hessayon, who was a huge supporter of the New Writers’ Scheme. This year there were eleven finalists, including myself, for the award, and I was very proud to be among their number. The Joan Hessayon Award ceremony was held early in the evening when everyone was armed with a glass of bubbly to toast the nominees. It was really wonderful to hear such nice things said about my book ‘Who Does He Think He Is?’ and I’m so honoured to have been a finalist. The overall winner was Kate Field with her novel ‘The Magic of Ramblings’, which I’m very much looking forward to reading. I had a thoroughly enjoyable time catching up with old friends and making new ones. Thank you so much to the RNA committee for arranging the event, and also thank you to Dr David Hessayon for kindly sponsoring the award in memory of his wife. 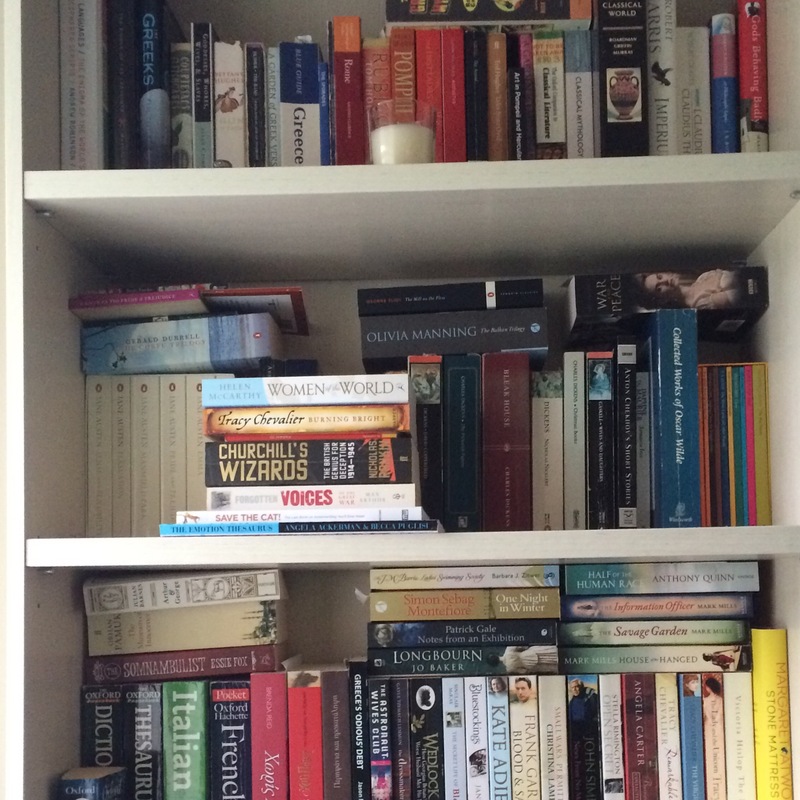 Confessions of a book binge-buyer! 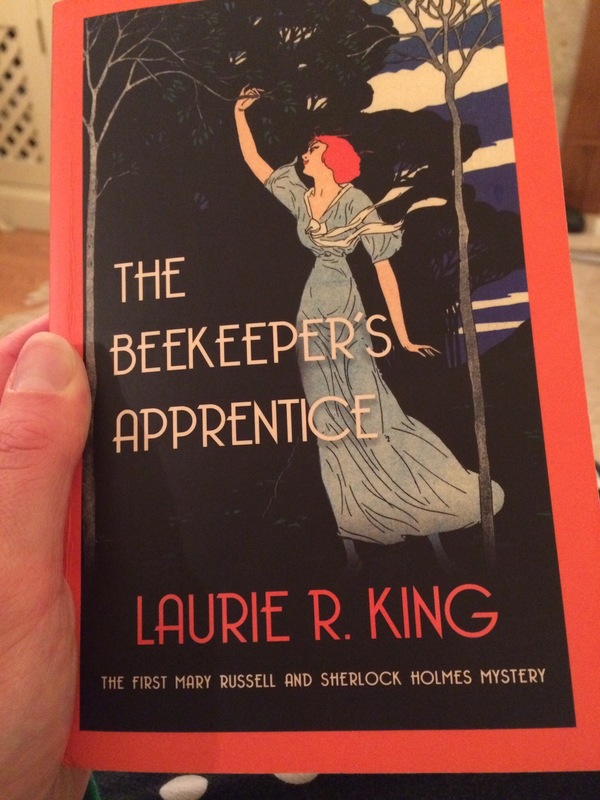 Last year I discovered the Mary Russell and Sherlock Holmes mystery series by the marvellous Laurie R.King. After reading book one while on holiday, I abandoned the beach and used the hotel wifi to order the next three volumes so they would be ready and waiting for me when I returned home. Another author whose work I’ve recently discovered and binge bought is Jane Thynne, the creator of the Clara Vine mystery series. 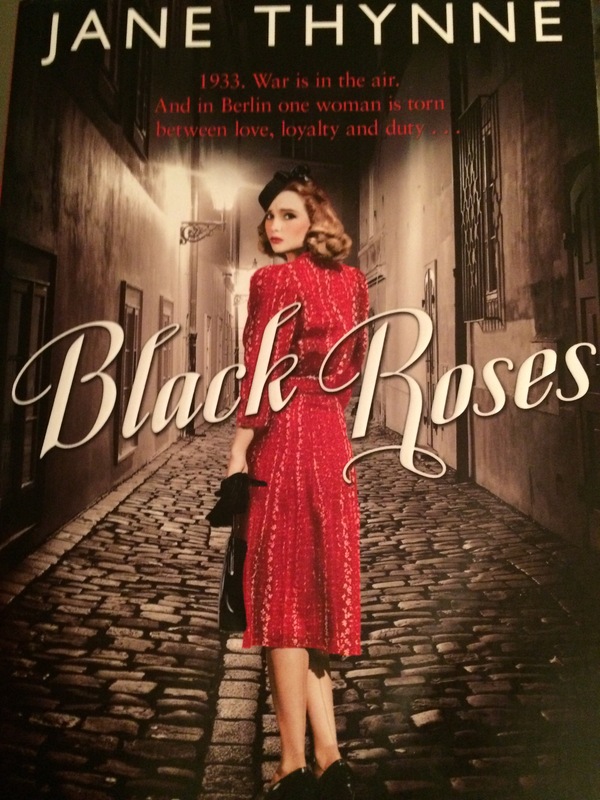 Set in 1930s Berlin, the backdrop of political upheaval and rising intolerance certainly strikes a worrying chord in these times. 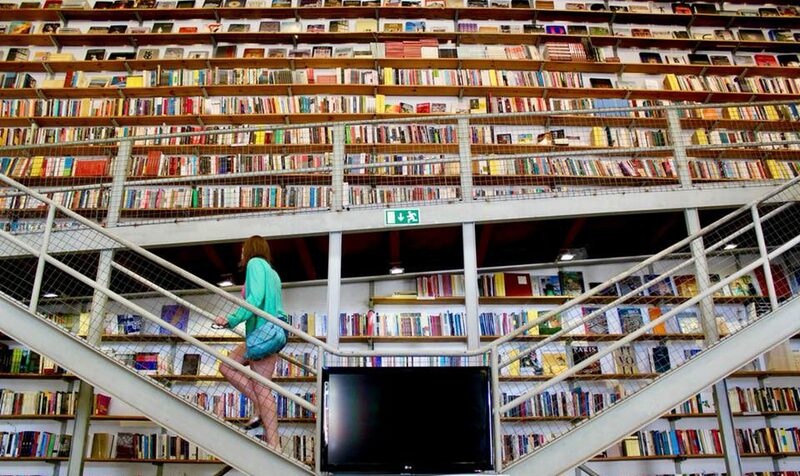 I love browsing in bookshops, and almost without exception browsing will turn into buying. And when they have special offers on, well, it’s a no brainer! Who am I to argue with a three-for-the-price-of-two deal?